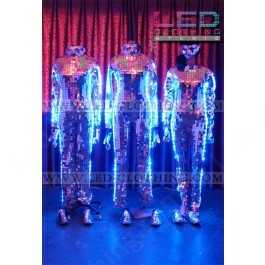 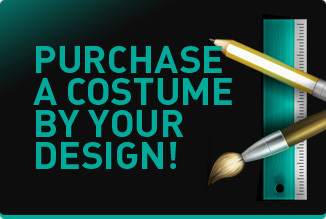 Mirrorman LED costume | LED Clothing Studio Inc.
You are viewing a high-end Mirrorman LED costume made of Italian acrylic glasses. 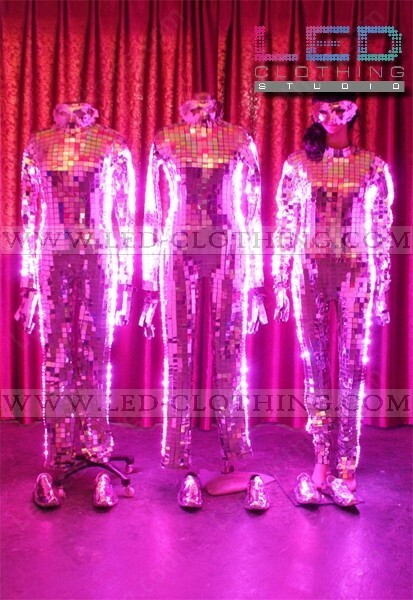 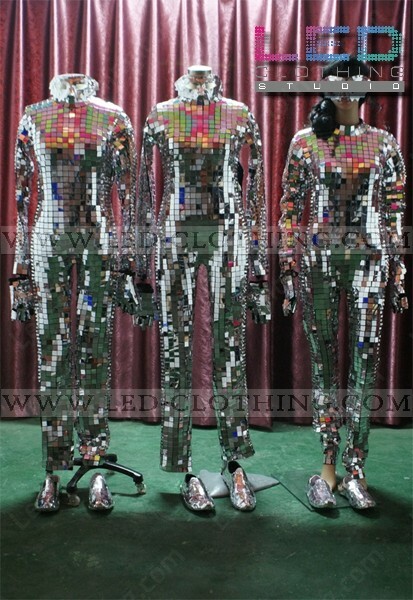 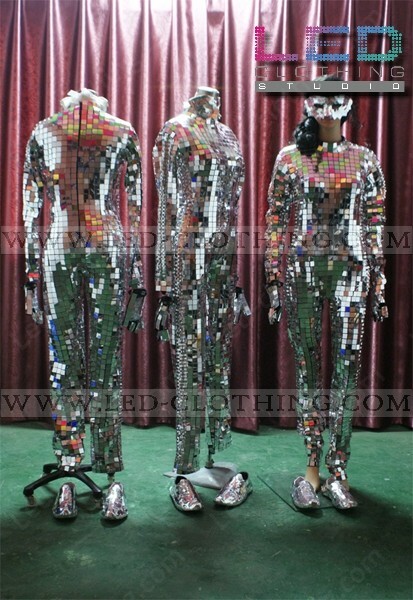 With this LED mirrorman costume you can create a dazzling show no matter whether its just one man performance or group show. 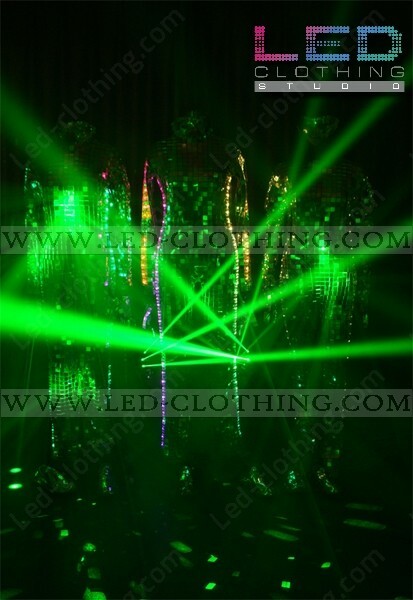 The Mirrorman LED suit reflects all types of beams and features it's own LEDs, creating a truly unique effect and making your show unforgettable. 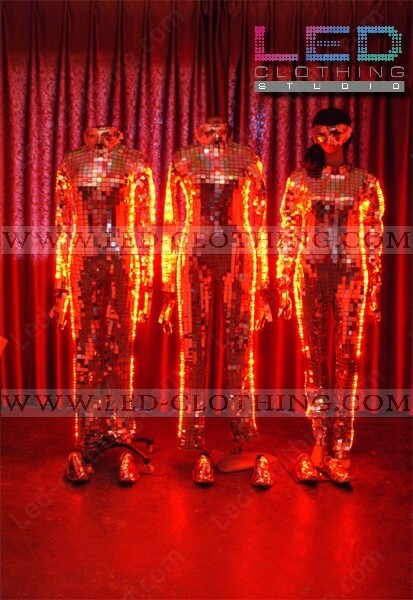 A mirrorman Led costume is a perfect solution day or night, dance club or theatre show, group or single performance and is easy to maintain and repair. 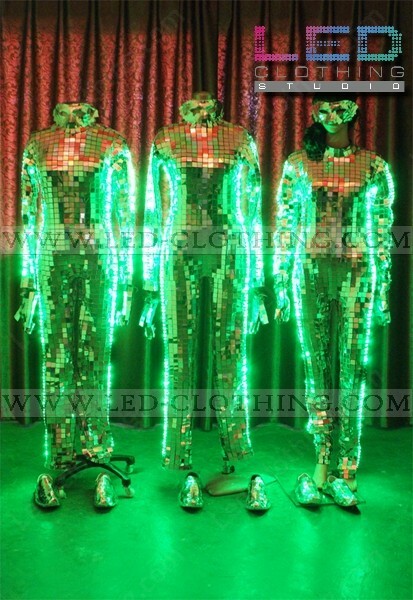 Besides all the obvious reasons for buying Our unisex Mirrorman LED Suit you are investing in your show and it will pay you off in fully no doubt. 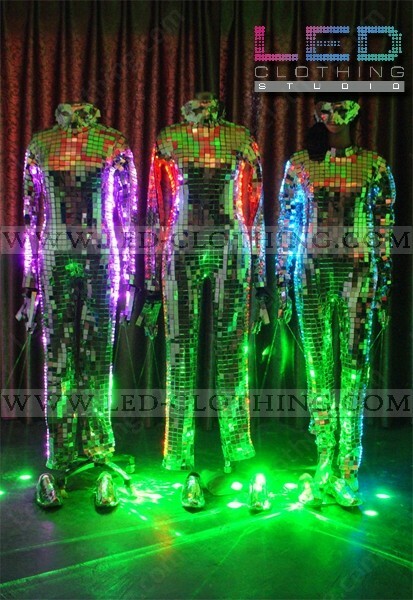 The costume is made in our LED Clothing Studio in Seoul,South Korea with premium quality SHOCKPROOF ultra bright LED bulbs of 6th generation and elastic breathable fabric, and powered by 10000mAh rechargeable batterie that lasts approximately 4 hours of continuous usage. 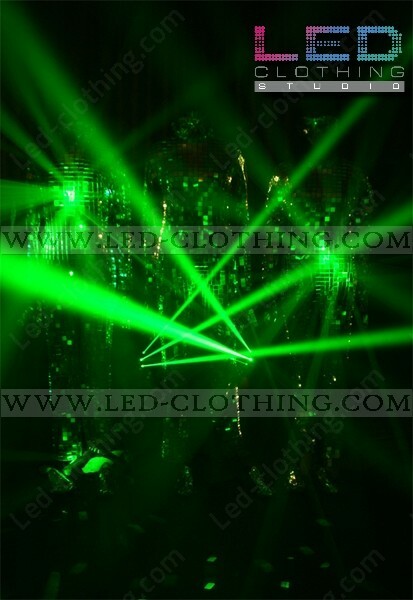 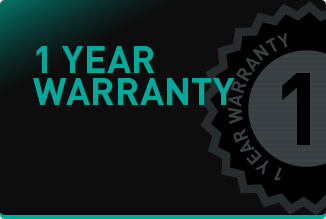 Please refer to SHIPPING AND PAYMENT tab for more details about the production and payment procedures.